Leco Corporation since 2007 began to market successfully digital microscopes and has acquired considerable experience in the field. For the industrial and medical sectors are newly designed and created two distinct product lines under the brand of Mic-Fi to cover and meet the needs of the most demanding users. Outstanding for their value, to the technology used and the range available, for the incredible compactness and portability, the WiFi Mic digital microscopes are distinguished by the great ease of use and easy management via intuitive software interfaces (Mac/PC) and Apps (iOS/Android) which will be developed gradually for specific sectors. 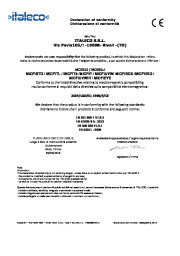 Accessories and bases will suit professionals and educational applications, that use digital microscopy in the fields of mechanics, electronics, education, Graphology, entomology, laboratory, textile industry, print, beauty, trichology, collectibles, anti-counterfeiting, watches and jewelry, and medical sectors such as Dermatology, ENT and dental. 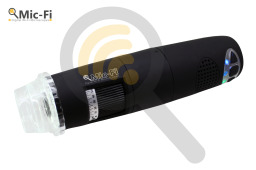 WiFi Mic digital microscopes are useful tools and workmates and inseparable.